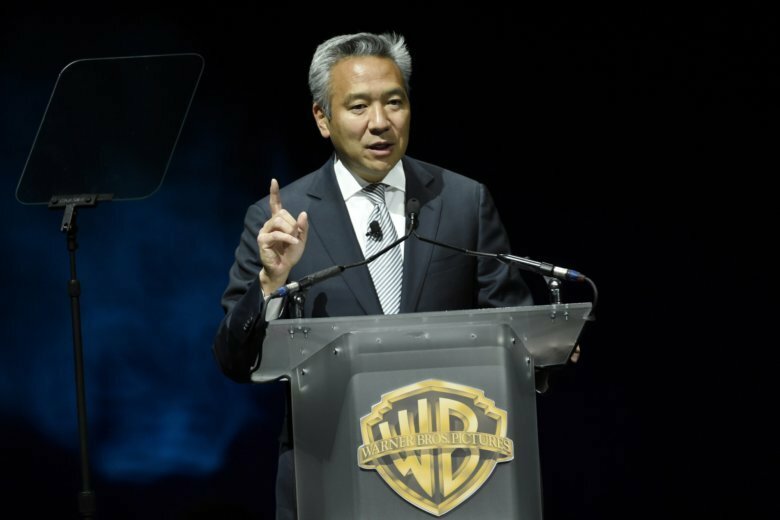 NEW YORK (AP) — Warner Bros. chief Kevin Tsujihara, one of the highest ranking Hollywood executives to be felled by sexual misconduct allegations, stepped down from the studio Monday following claims that he promised roles to an actress with whom he was having an affair. Earlier this month, WarnerMedia launched an investigation after a March 6 Hollywood Reporter story detailed text messages between Tsujihara and British actress Charlotte Kirk going back to 2013. The messages suggested a quid pro quo sexual relationship between the aspiring actress and the studio head in which he made promises that he’d introduce her to influential executives and she’d be considered for roles in movies and television. Tsujihara’s attorney, Bert H. Deixler, earlier stated that Tsujihara “had no direct role in the hiring of this actress.” He declined further comment Monday. The scandal unfolded just as Warner Bros. was restructuring on the heels of AT&T’s takeover of WarnerMedia, previously known as Time Warner. Tsujihara’s role had just been expanded on Feb. 28 to include global kids and family entertainment including oversight of Adult Swim and the Cartoon Network. Kirk appeared in Warner Bros.’ “How to Be Single” in 2016 and “Ocean’s 8” in 2018. She has denied any inappropriate behavior on the part of Tsujihara or two other executives, Brett Ratner and James Packer, who she communicated with. “Mr. Tsujihara never promised me anything,” Kirk said in an earlier statement. But the details of the leaked text messages between Tsujihara and Kirk immediately put his future at Warner Bros. in jeopardy. Kirk wrote in one 2015 message to him: “Are u going to help me like u said u would?” Tsujhara responded, “Richard will be reaching out to u tonight,” referring to Richard Brener, president of Warner Bros.’ New Line label. WarnerMedia, the studio’s parent company, said Monday that its internal investigation into the situation, carried out by a third-party law firm, will continue. Tsujihara’s exit follows other high-profile executive departures in the post-Harvey Weinstein #MeToo era. CBS Chairman Leslie Moonves was pushed out after numerous women accused him of sexual harassment. Walt Disney Animation chief John Lasseter was ousted after he acknowledged missteps in his behavior with employees. The 54-year-old Tsujihara, the first executive of Asian descent to head a major Hollywood studio, presided over a largely positive Warner Bros. era with little fanfare. A former home video and video game executive at the company, Tsujihara focused on franchise creation, some of which have worked, some of which haven’t. After poor marks from fans and critics, the studio’s DC Comics films have recently been retooled and found their footing in hits like “Wonder Woman” and “Aquaman.” Other franchises — like “The Lego Movie” and the “Harry Potter” spinoff “Fantastic Beasts and Where to Find Them” — have seen diminishing returns on their latest incarnations. The studio has also fostered its connection with filmmakers like Christopher Nolan (“Dunkirk”) and Bradley Cooper (whose “A Star Is Born” was Warner Bros.’ top Oscar contender). Warner Bros. last year amassed $5.6 billion in global ticket sales, its best haul ever. The studio will now begin a search for a new chief as it also prepares to launch a streaming service designed to compete with Netflix.